Go grocery shopping at Bintang market, Carrefour or any other supermarket filling your bag with fresh fruits, bread, snacks and maybe even a bottle of wine. If not on budget, order a luxurious day-trip picnic basket from Gourmand Deli at The St. Regis Resort (gourmanddeli.bali@stregis.com). Then just set out on your motorbike towards the Honeymoon Beach in Jimbaran close to Ayana resort. It is a bit difficult to find and the path leading there is bumpy but it’s worth the effort. Find yourself a nice spot on top of the cliff, set down your blanket and get cozy. Or head to the small beach on the right side under the cliff. Usually you can have the place all to yourself. 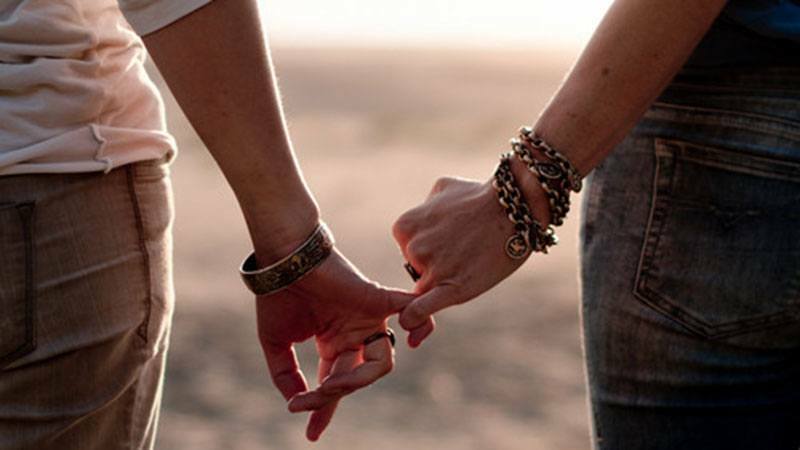 Romance doesn’t always need grand gestures or expensive activities. Another sweet and budget-friendly option is to go sample the yummy ice cream flavors at Gusto Gelato&Caffe. According to most, it serves the best ice cream in Bali. For only Rp.20 000 you can get a cup with two flavours of your choice (try the Bounty one if you are into coconut). Just grab two spoons, find a seat in the garden and start feeding each other. 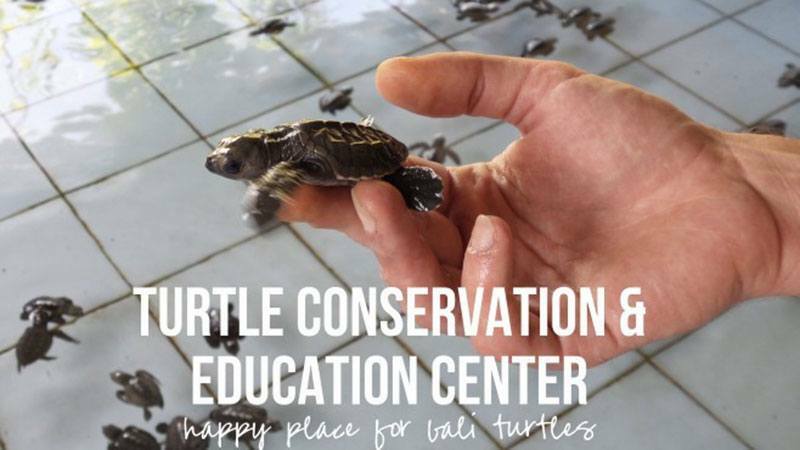 The sea turtles were already becoming endangered in Bali but thanks to the efforts of the Turtle Conservation and Education Centre (TCEC) on Serangan island in Sanur area the species is once again doing fine. The place is used both as a hatchery and a protection center for injured turtles brought there by the local fishermen. Entrance is free although donations are always more than welcome. You can learn about these fascinating sea-creatures and if you’re visiting on a release day between April and October, you could adopt a baby turtle and get to release it to the sea. Please don’t confuse this place with the mass-tourism trap Turtle Island in the south of Bali. Serangan can be visited by a car or a motorbike because even though it’s called an island there are roads leading all the way to the beach. The TCEC can be found far right on the beach. Angseri hot springs in Tabanan are nestled between lush rice paddies and small streams. The places that were used only as traditional bathhouse by local people are now transformed into a comfortable public bathing area. With the entrance fee of Rp. 30 000 you get to enjoy 2 open-air pools and by paying Rp. 10 000 per person you can rent a small private cabin for 30 minutes. Tabanan Hot Springs sit on the banks of the flowing Yeh Panas river, and are fed by the healing water flowing off Mount Batukaru. You can bathe in the main pool on the river’s edge or dip into one of the smaller pools that terrace up the hillside. Entrance fee to the public pools is Rp. 50 000 and to the private pools Rp. 100 000. 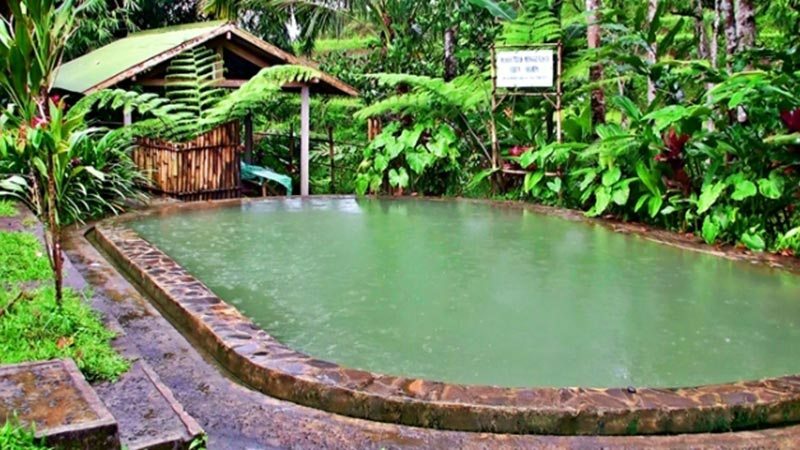 The sulphuric healing waters of sacred Banjar hot springs not far from Lovina beach are located in the midst of the jungle in a beautifully landscaped tropical garden. For the entrance fee of Rp. 5 000 you get to enjoy 3 public pools. We recommend you visit early before tourists arrive. This is a very important sacred site for the Hindu Balinese who come here to cleanse themselves physically and spiritually – a process called melukat. Water from the spring is clean and believed to have magical powers. Entrance fee is Rp. 15 000, including sarong and sash rental. The complex is open daily 8.00 AM to 4.00 PM except during major religious holidays. Those craving for a luxurious hot spring experience should head to the Kintamani area. The hot springs are inside Toya Devasya resort, set in elegant, landscape gardens, the pools offer immaculate facilities and the waters are clear blue and odorless – no sulphur gases here. Entrance fee is Rp. 150 000 for adults and Rp. 100 000 for kids. What better way to immortalize your love with your significant other than making jewelry together. During a 3-hour class at Studio Perak in Ubud you’ll learn the basics of silversmithing and get to design and make a ring or a pendant of your own. You can also bring for example your own special stones to incorporate in the jewellery. Price for the class is approximately Rp.350 000 per person inclusive of 5 grams of silver. The Karma Beach Club in Ungasan area south of Bali is perfectly positioned within Bali’s most stunning beach cove. There a crescent of white sand leads you into the aquamarine waters of a private and tranquil lagoon. The access to the beach is an experience in itself; a private inclinator from Karma Kandara Resort treats you to 85 metres of breath-taking scenery down to the oasis. On Mondays they have a movie night with popcorn and full Asian menu. A perfect reason to reserve a whole day to spend there and enjoy the surroundings to the max. The entrance fee is Rp.250 000 and booking in advance is recommended. 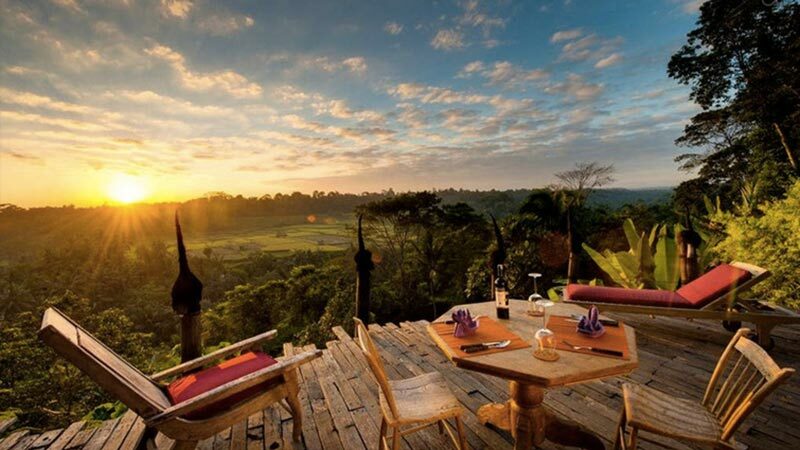 Bambu Indah in Ubud offers eco-friendly boutique accommodation. It consists of Javanese bridal homes that were brought to Bali, restored and decorated with the finest details. There are no TVs in the houses so you can truly enjoy the peaceful atmosphere and sounds of nature. Prices per night start from US $125 which translates to approximately Rp.1.600 000. They can also arrange a private romantic dinner for you where you’ll be able to enjoy the view of rice fields and distant mountains. 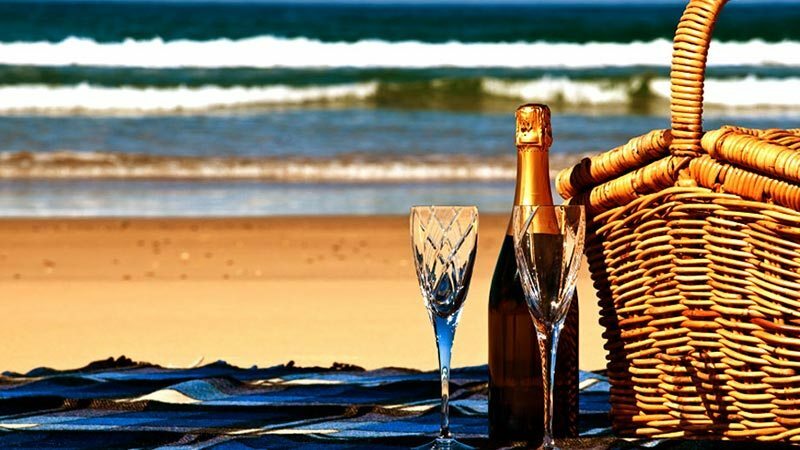 If you want to enjoy a romantic evening away from the mainland, book a cruise with Bali Hai. The Aristocat Evening Cruise program starts with welcome drinks and canapes in the Marina garden at Benoa harbour. Onboard the luxury catamaran you will be able the enjoy the sunset while fine-dining a 5-course dinner and listening to musical entertainment. The price per person is Rp.967 000. 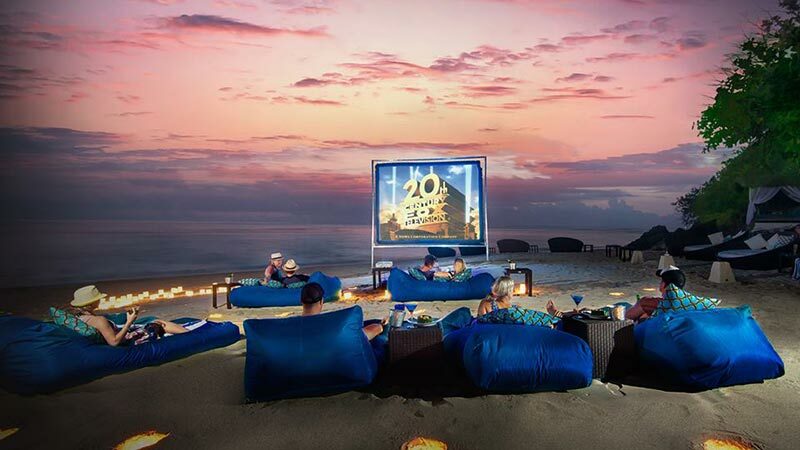 This might sound something to do at home in your own bed but in Bali you can do it on the beach. 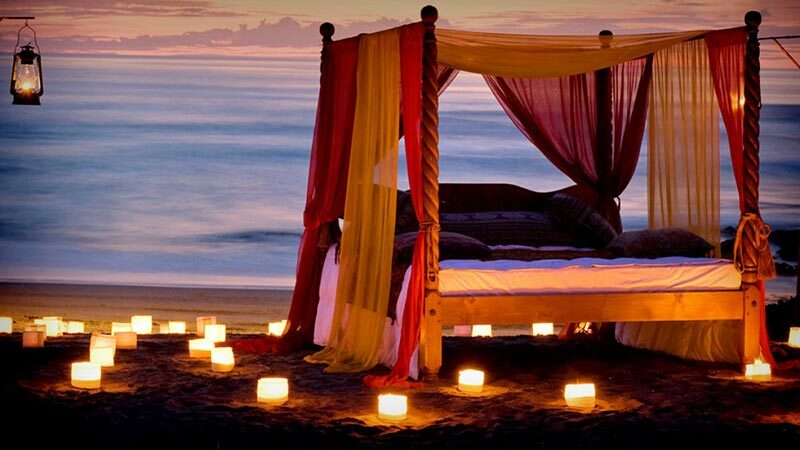 Hotel Tugu Bali offers an aphrodisiac picnic in bed on a private beach in Canggu. You will be enjoying dinner in an 18th century antique bed, solo on a beach illuminated by lanterns and a dusky red sky. The dinner ends with a selection of 4 desserts to be fed to each other blindfolded. Prices per couple can be inquired by email at bali@tuguhotels.com. These can be had at almost any spa and the prices can be as low as Rp.500 000 per couple but for the ultimate experience you should try the Diamond Miracle at Ayana Resort’s Spa On the Rocks in Jimbaran. The spa itself lies, as the name suggests, on top of rocks right at the edge of the sea. You’ll get to experience the sound of waves gently lulling beneath, feel soft sea-breezes drift into the private villa and be invigorated by the scent of refreshing ocean mist while indulging in the treatment. The Diamond Miracle is 2,5 hours of bliss: it begins with a foot soak and a body scrub followed by a rose petal bath, balinese massage and a facial. You’ll finish your treatment by sipping champagne and eating strawberries. The price per couple is a staggering Rp.12.616 000++, but if you are willing to really splurge on something this is worth a try. For a slightly cheaper couples’ session, check out my other blog post.